In the Just Cause series, your grappling hook is love, life, and all that jazz, but it does have limits. Making it infinite turns the game into (even more of) a demented, goddamn wonderful cartoon. 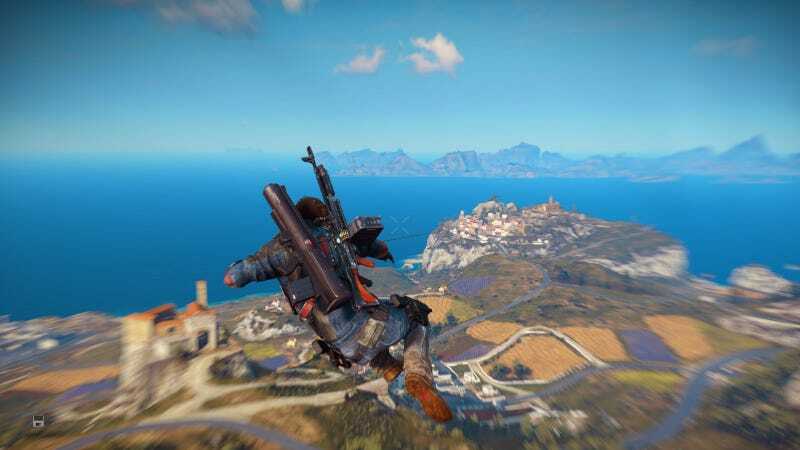 There are actually a couple grappling hook mods for Just Cause 3, but the first and most versatile is Qub1’s Grappling Options mod. It lets you mess around with options like grapple range and strength, and yes, you can make them infinite. This means you can aim at a building, or mountain, or civilian hurtling through the air because someone tossed them out of a plane, or whatever faaaaaaaaar off in the distance—miles and miles away—and grapple to it. Beware, though: you’re playing with the forces of (grappling hook) space and (grappling hook) time. We are but grapple men, not grapple gods. You may incur the wrath of glitches. At any rate, these mods are patently ridiculous, which is to say that they fit Just Cause 3 like a glove. Try them out and never look back. Seriously, don’t look back. You might puke.